Iraq war veteran Saif Khan served as a combat engineer in Mosul during 2004-2005. 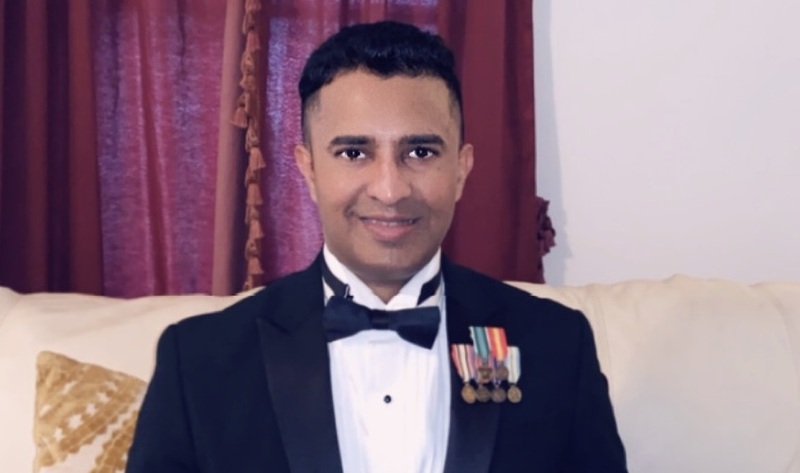 Indian American Attorney and Iraq war veteran Saif Khan will receive the World Veterans Federation Medallion in Paris next week. It is the highest award given by the federation, a Paris-based international non-profit organization established in 1950. Khan will receive the Medallion during the World Veterans Federation General Assembly, which will take place in the French capital from February 16 to 18. The Medallion, given as a lifetime achievement award, will be presented by the president of the WVF — the largest veterans organization in the world — on behalf of the global veterans’ community in recognition of supporting veterans worldwide. WVF is a federation of 172 veteran organizations from 121 countries, representing some 45 million veterans worldwide. It has maintained consultative status with the United Nations since 1951 and was conferred the title Peace Messenger in 1987. Khan, who was born in Mysore, in the Indian state of Karnataka, served as a combat engineer in Mosul in Iraq, during 2004-2005. He formed the American Veterans Committee in 2013 to connect US veterans within the United States, as well as those outside the country to network, and to promote business opportunities and diplomacy. In the past, he also served as a vice president and the chairman of the World Veterans Federation’s Committee of the Americas. He also served as president of the American Veterans Committee. A graduate in political science from the Virginia Commonwealth University in Richmond, Khan also received a Juris Doctor degree from the George Washington University Law School. Khan now serves as an attorney for the government.